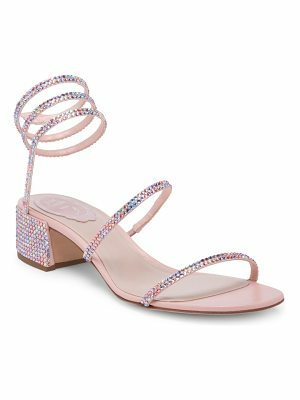 Crystal-embellished straps sparkle and shine on a gorgeous satin sandal lifted by a slim setback heel. 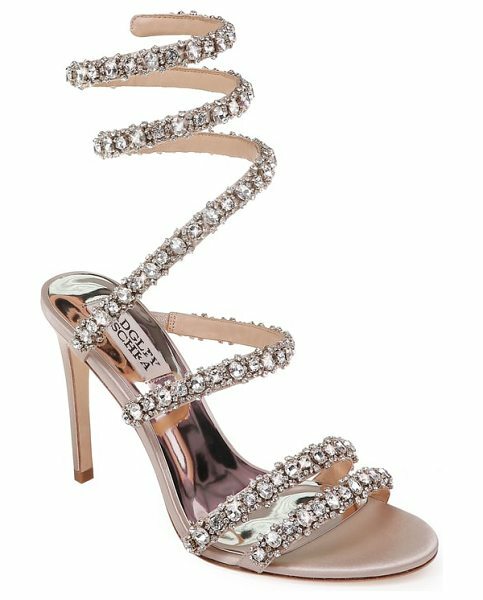 Style Name: Badgley Mischka Peace Crystal Ankle Wrap Sandal (Women). Style Number: 5599580. Available in stores.